Christians are called to live out our faith in bold and uncompromising ways. As we seek to honor God and love others, we find ourselves relying on scripture, prayer and a relational experience with the Almighty. Life isn’t always easy, but even amid the difficulties and struggles we can rely on biblical lessons to carry us along the way — guidance that will neither fail nor forsake us. 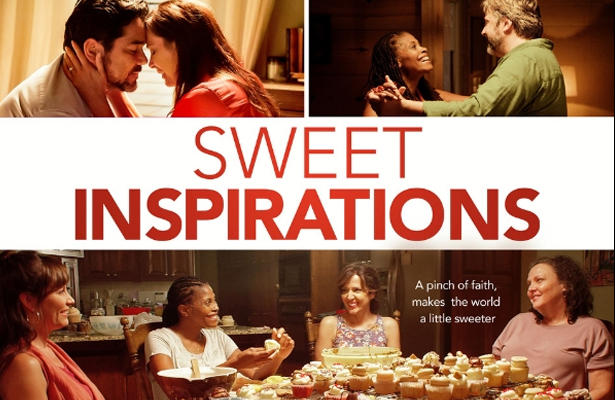 This is exactly the reality that characters Maggie, Bonnie, Dianna and Chonda face in “Sweet Inspirations,” a new original movie on PureFlix.com. The good friends embark on an incredible journey as they launch a unique fundraising effort to save a local women’s shelter from almost-immediate foreclosure — and are taught many timeless lessons along the way. The Bible is clear about the importance of reaching out to others. From helping the sick to being a good friend to those in need, we are called to live our faith out in practice rather than isolating and retreating from those around us. 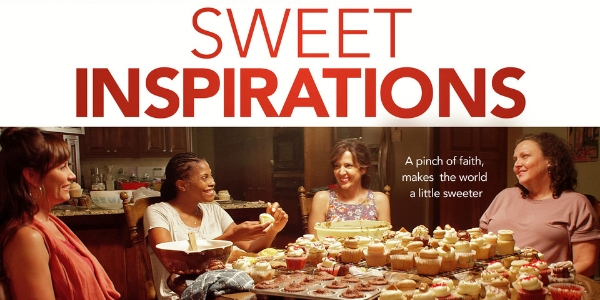 “Sweet Inspirations” centers around this very concept, with Maggie, Bonnie, Dianna and Chonda stretching beyond themselves and their busy lives to help meet the needs of people in their community. And there’s a fair bit of comedy, drama and plenty of heartfelt moments along the way. It’s sometimes too easy to fall into the trap of forgetting to take the church out into the community. This is a lesson that Maggie and her friends learn all to well when they discover that there’s a local women’s shelter they never knew existed — and one that desperately needs their help. The women decide to step outside their church doors to do something incredible. As we think about our own churches and personal outreaches, we must ask ourselves: Are we doing enough to help those outside of the church’s walls? And finally: How can we better be the hands and feet of Jesus? Life is sometimes uncertain. Uphill battles can abound and create difficult circumstances. Sometimes, it’s a matter of setting a goal that seems near-impossible. When Maggie and her friends launch their unique fundraising scheme to sell biblically inspired gourmet cupcakes in an effort to help save the women’s shelter, they push on against all odds. And even when the women believe they’ve been defeated, there’s still hope. We must remember that God has a plan no matter what unfolds, and that His will should be trusted and sought, even if the results aren’t what we want. Prayer matters. Through faith, anything is possible. But it is prayer — in both the good and bad times — that sustains us. When things seemed the darkest for Maggie, Bonnie, Dianna and Chonda, that’s what the women turned to God in prayer. We can and should glean the same message and lesson in our own lives. You can learn these lessons among many others by sitting down with some popcorn and watching “Sweet Inspirations” on PureFlix.com. Click here to start a free one-month trial and start enjoying this films as well as thousands of other Christian and family friendly originals, movies, TV shows, documentaries and educational titles.